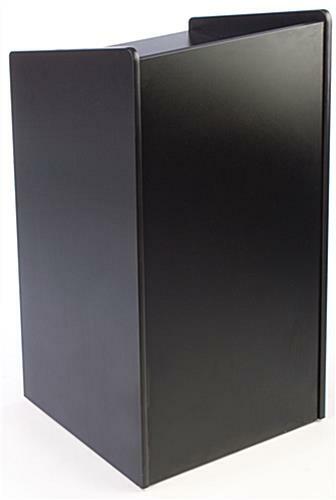 This full size presentation lectern is 45" tall and includes a variety of features that make it ideal for use in public environments as a lectern, AV trolley, host or hostess stand, and pulpit. 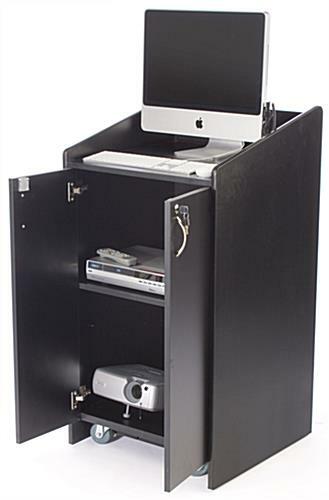 Each black laminate fixture has a recessed flat top for holding laptops, tablets, lecture accessories and more. 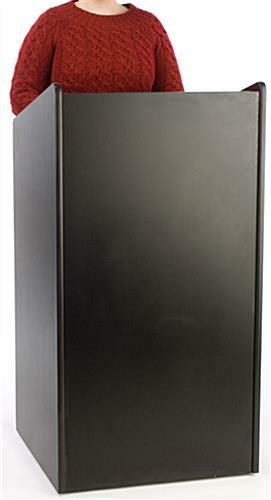 The full size presentation lectern has built-in cable management to keep equipment and point of sale accessory cords out of sight. This portable fixture has four caster wheels that allow easy movement from place to place, making this an ideal choice for schools and conference facilities as well as corporate, executive or business offices. 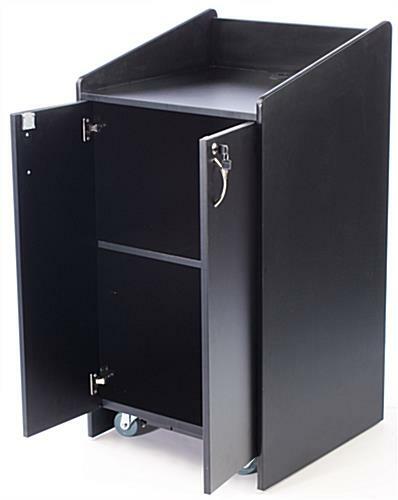 This black finish presentation lectern has a storage cabinet base with two locking doors that secure equipment, accessories, menus, supplies and reference materials when not in use. 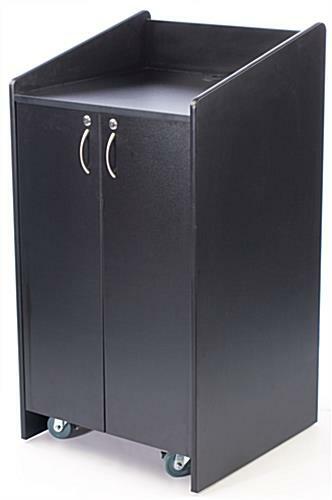 This versatile fixture makes a great restaurant hostess stand, teaching podiums, sermon pulpit, or conference accessory and will complement a wide range of environments.